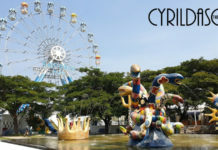 As a Kuching born, I have always taken pride about my city, Kuching. 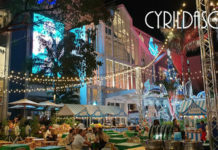 In fact, I am so proud of my city that I have opened blog specifically about it, you know, just to tell foreigners what to do, where to eat etc etc. 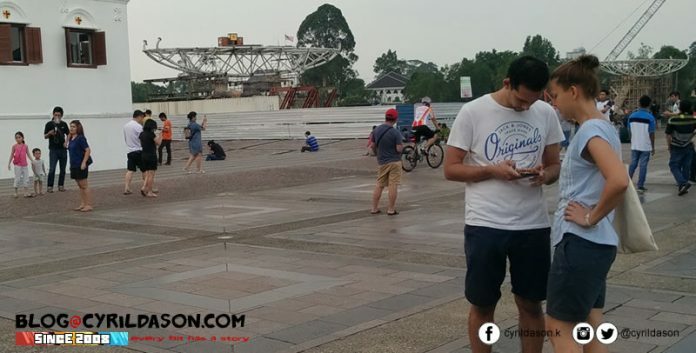 One of the first few places I’d highly recommend for a stroll would be the Kuching Waterfront, or some call it Kuching Esplanade. It’s over 1KM long, and it has been extended because it is not only popular, but super lovely, well, until my most recent visit which was today. 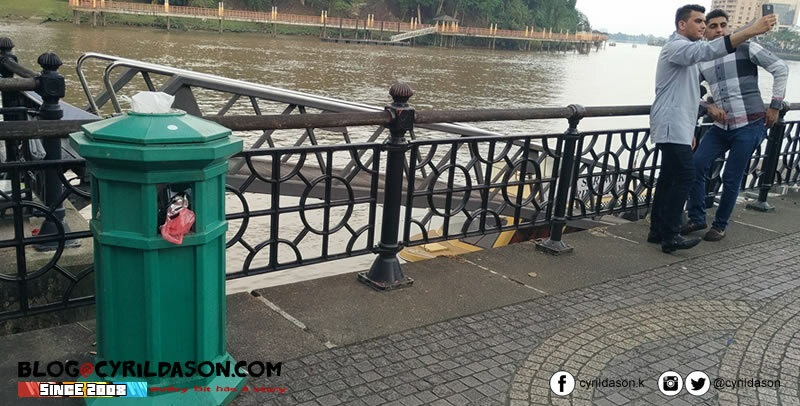 The short two hour walk with my family was a disappointing affair, and it had everything to do with the famed Kuching Waterfront. 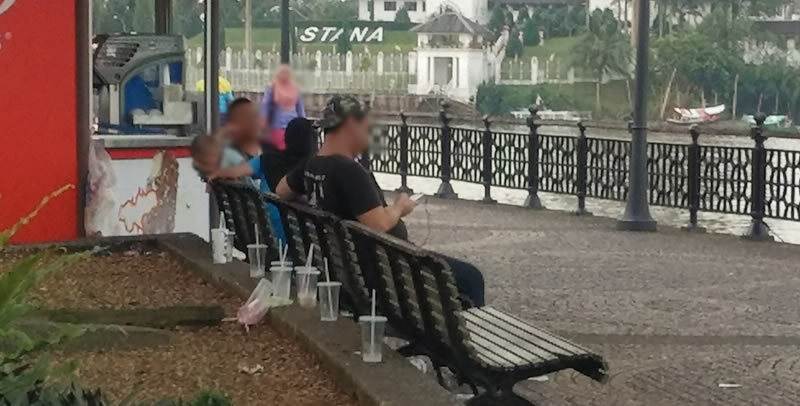 While two major construction projects currently disrupt anyone who wants to walk from one end to another at the Kuching Waterfront, it is no excuse for what was prevalent along my walk. 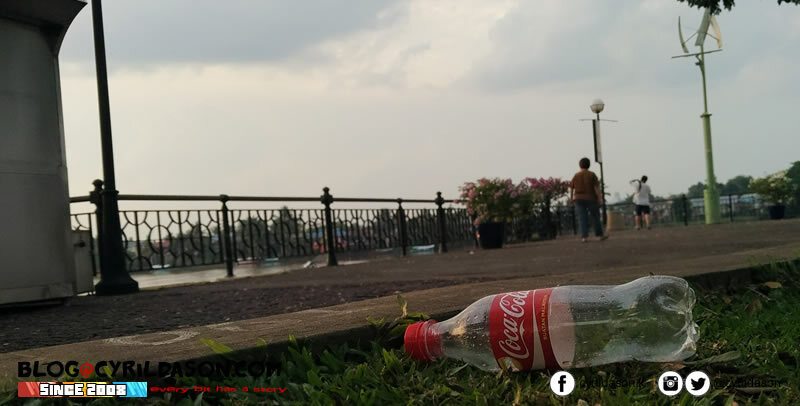 It seems the label of Kuching as ‘one of Malaysia’s cleanest city‘ is not fit for Kuching when you visit the Kuching Waterfront because rubbish was everywhere. 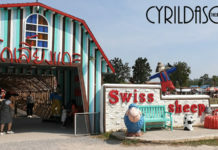 It was such an eyesore, and these photos are testament to that. 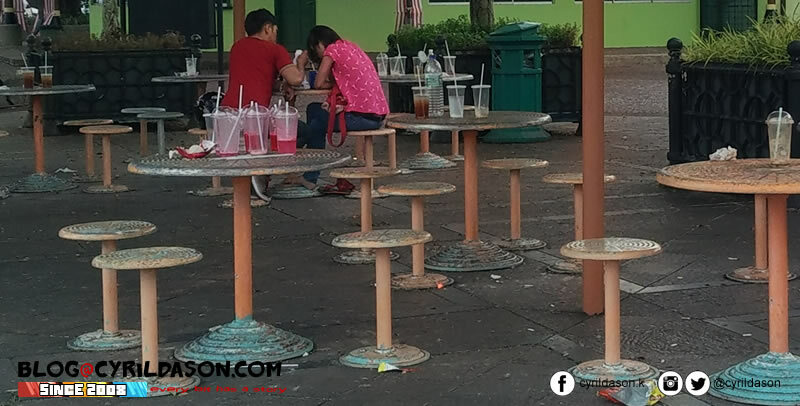 The ‘Private Parking’ area for Magenta Restaurant made things more disappointing because I felt such an area, designated on the Kuching Waterfront pedestrian walk, was dangerous for an esplanade which had a lot of pedestrians, including young children. Fearful cars and motorcycles would just drive in, I had to carry my daughter when we reached the stretch. 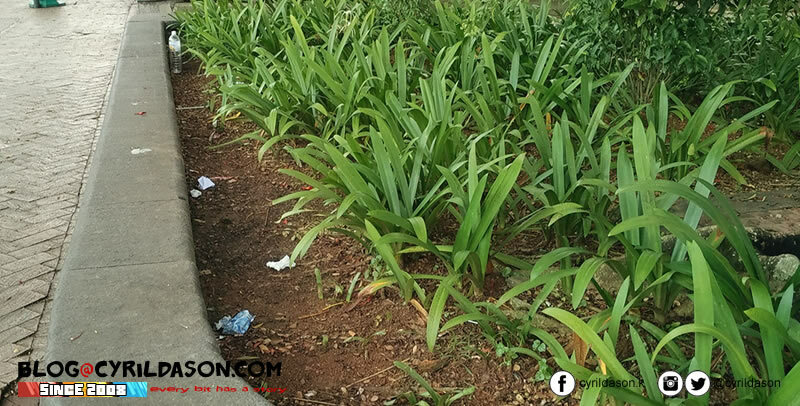 Now, I am not trying to point fingers here, but I think something should be done to ensure this iconic tourist spot is well maintained. 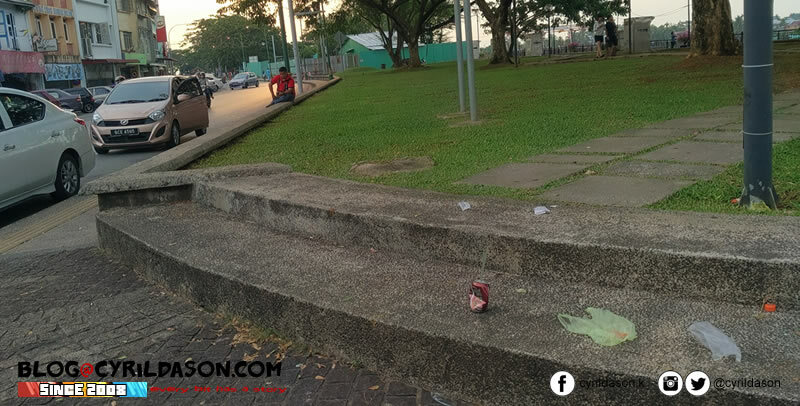 I laud that we are constantly trying to build more parks and increase tourist spots in our lovely Kuching City, but it would mean really nothing if we fail to maintain it. 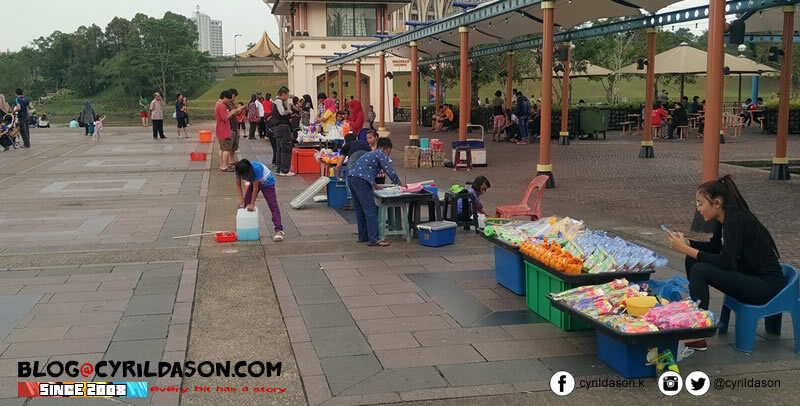 Kuching people need to play a greater role in being more civic minded when it comes to cleanliness. 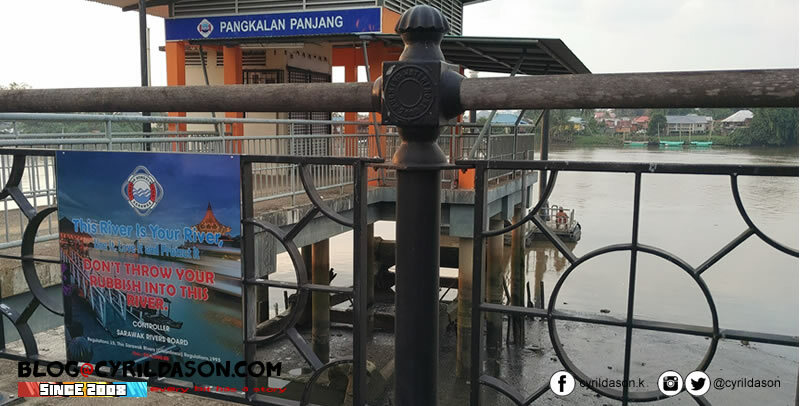 I know, it’s easier said than done, but I hate to see what had happened to the Kuching Waterfront, happen to other iconic places in Kuching, and Sarawak. 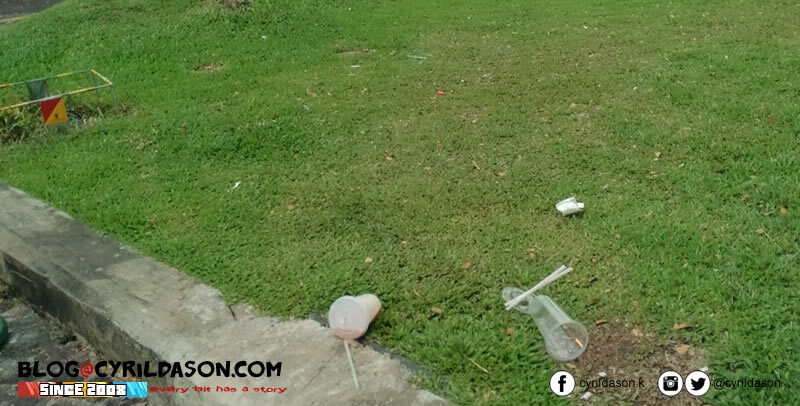 Education and awareness on the need to keep the city clean and beautiful needs to be done rampantly, and enforcement needs to be strict, with heavy penalties given out to litter bugs. 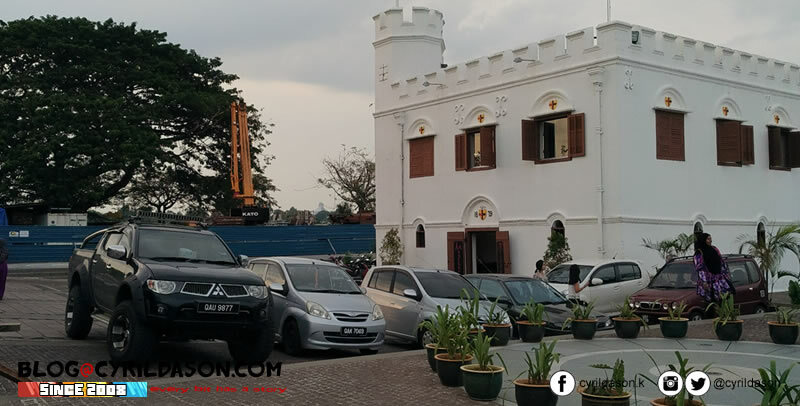 As for the ‘private parking’ area, it would be good for it to be closed down, with new plans drawn up to create a proper parking area specially for the restaurant. 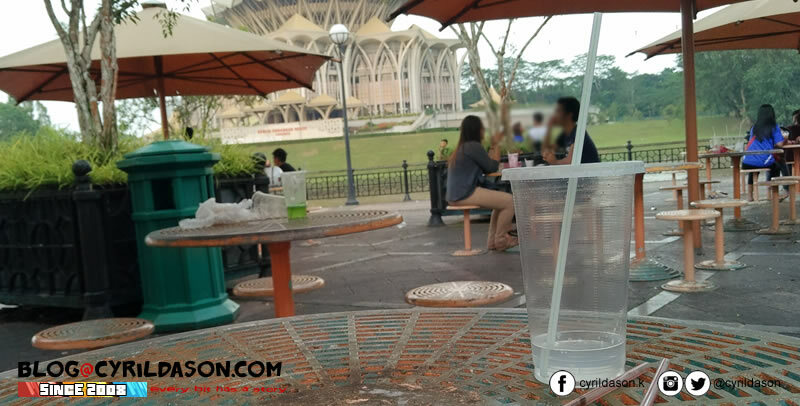 To me, it is indeed sad that we Kuching people talk so highly about our city, what it has to offer, and even highlight new developments that are coming, yet we fail to even maintain what we already have. No throwing rubbish in the river it reads. Also, I personally fail to realize why we are building a floating mosque in the center of the waterfront, especially since we already have not less than two mosque less than 500m away. We could have built a museum or a floating theater instead. – I just had to say that out loud. Additional info: It was informed to me that the new mosque will replace the old 100+ year old Masjid India, so it’s a non issue lah. Previous articleThis is the MOST INTERESTING comment about Adenan Satem! i really understand about it..
all about awareness civic of Kuching citizen or visitor of outside .. Indeed. Hope they do change for the better. 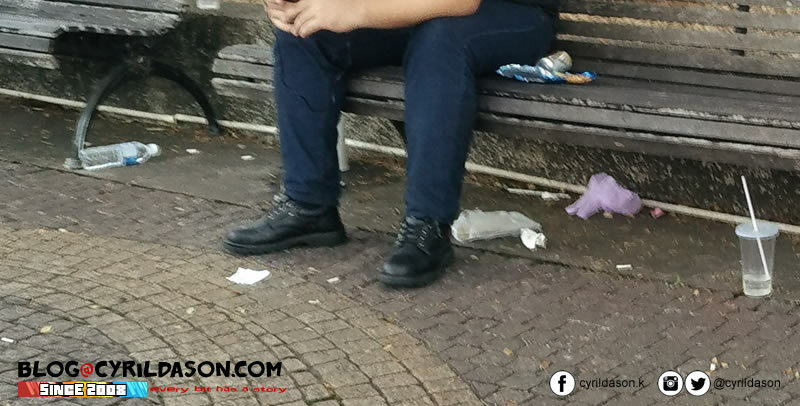 Kind of sad to see main places in the city dirty.